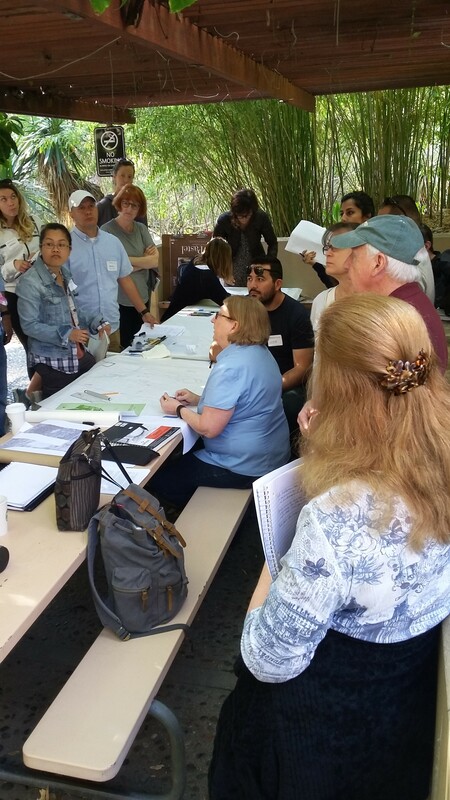 On April 3, 2016 the Landscape Architecture Program held it’s yearly charette at the Mildred E. Mathias Botanical Garden, located on the UCLA Campus. 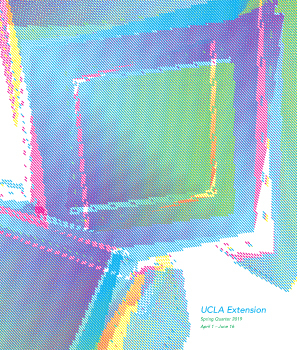 First, second and third year students as well as instructors and Guidance Committee members were involved in creating a vibrant design event. The staff of the Mildred E. Mathias Botanical Garden, which included Director Dr. Philip Rundel, Senior Garden Manager Joan Muench, Director of Programs and Tours Wendy Morris as well as other key staff contributed key information to the students as they worked on their designs for the garden maintenance area. There were three student teams which were comprised of students from each year and lead by third year students and advised by instructors and Guidance Committee members. The day started at 8:30am in the garden where student learned a bit about the history from Director Dr. Philip Rundel. 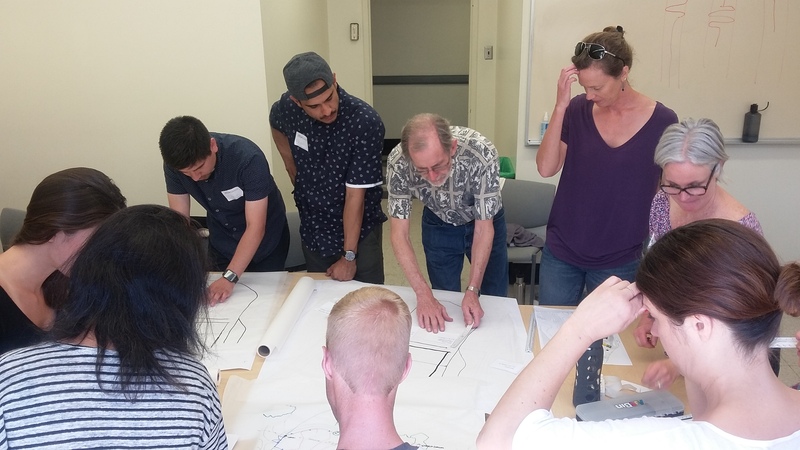 The students quickly dove into their designs by first doing a site analysis where they took measurements did a sun survey and gathered other pertinent information. The day finished up with each team presenting their completed designs to the staff of the garden. The day was energizing and exhausting at the same time for all that were involved. The students gained valuable experience working in a fast paced environment among their fellow program and classmates. 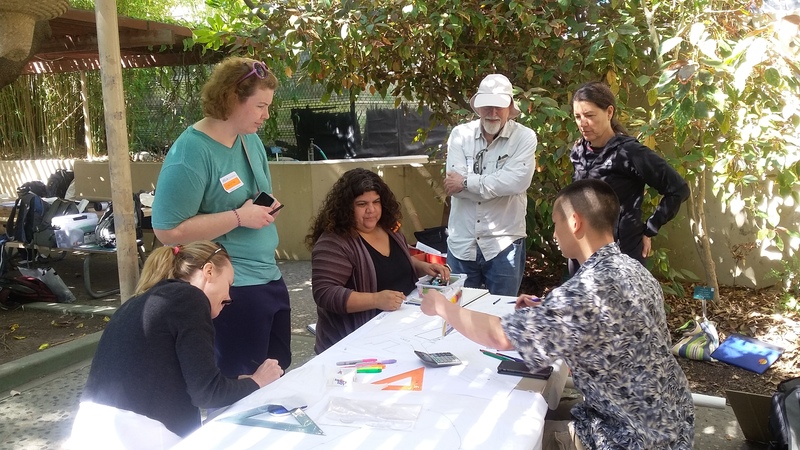 The client/garden staff received valuable design elements that they will use going forward in their planning for the construction of the new maintenance area for the garden.